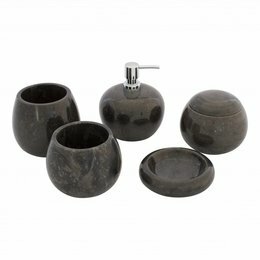 This 5-Piece Marble bathroom accessory set Sumatra contains a Soap dispenser, Soap dish, Toothbrush Cup, Jewellery box and a Toilet brush holder. 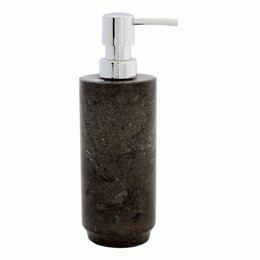 With this beautiful black marble soap dispenser in your bathroom, kitchen or toilet there are no more plastic bottles on the sink but beautiful natural stone. 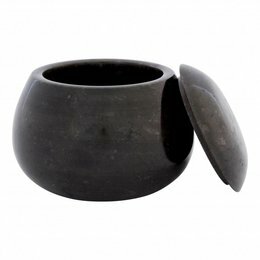 This black marble toilet brush holder from our Sumatra bathroom accessory set stands out well in every bathroom due to its black charcoal colour. 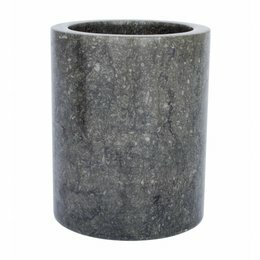 With a toothbrush cup there are no more toothbrushes on the sink, but with this cup of black marble they also stand in luxury. 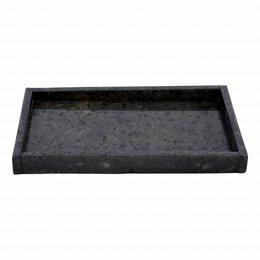 With one of our trays made of our beautiful black marble you have the perfect place in your bathroom to put some of our natural stone bathroom accessories on. 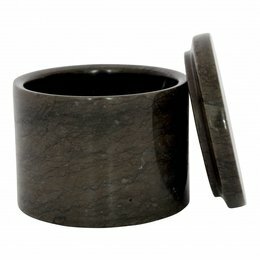 This jewellery box made of this beautiful black marble which is also called charcoal marble comes from our bathroom accessory set Sumatra. 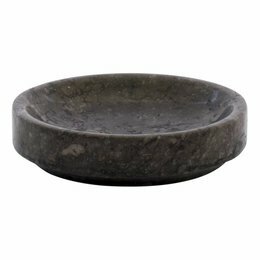 Would you like a luxury spot for your hand soap then put this beautiful dish of black marble on your furniture and you have exactly that. 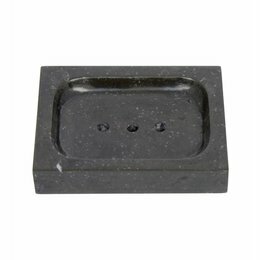 This beautiful black marble soap dish for your hand soap will not look out of place on the washbasin. 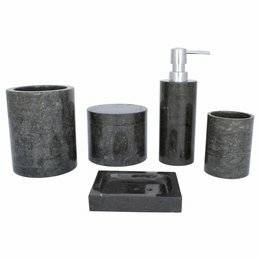 With our natural stone bathroom accessories you get luxury at home. 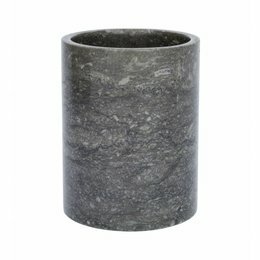 No more paper box at your table with this tissue made from black marble but beautiful natural stone. 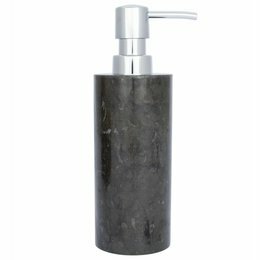 With this soap dispenser made from our beautiful black marble you will no longer see a plastic bottle in your bathroom. This 5-piece bathroom accessory set Satria consists of a Soap dispenser, Toothbrush Cup, Toilet Brush Holder, Soap dish and a Jewellery box. 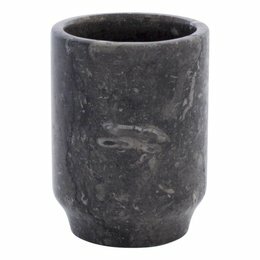 This toothbrush cup from our Bayu set is made of our beautiful black marble which is also called charcoal marble. 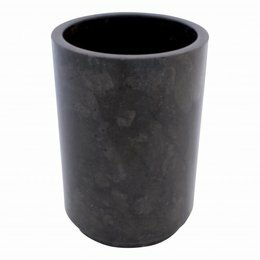 With this black marble cup for your toothbrushes you will no longer see them lying loose on your bathroom furniture, but they will have their own permanent spot. 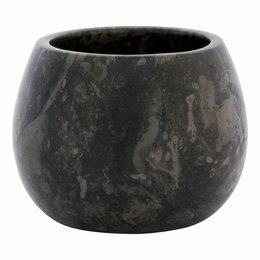 With this trash can made of black marble from our Bayu set you get a luxurious piece of nature in the house. 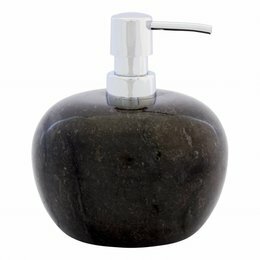 With this soap dispenser made in of our most popular model designs you will get the luxury in house. Because of the black color it will fit in every interior. 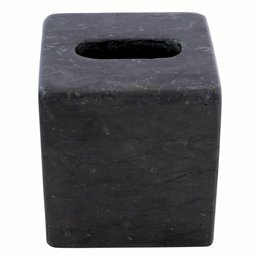 Do you have a lot of small things lying around in your bathroom than this beautiful black marble jewelry box might be something for you.